SJ Directory comes with 2 professional homepage designs that well fit any school directory websites as well as other directory sites. 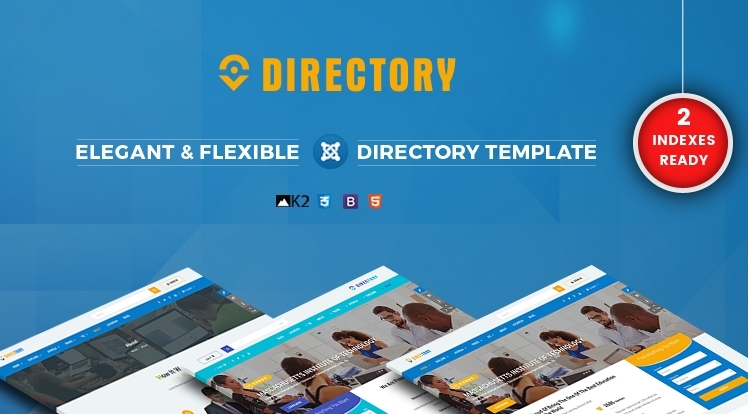 SJ Directory is a responsive directory Joomla theme that it will bring to customers a great look on any devices: PC, mobile, ipad... or any screen resolutions. Let experience it! 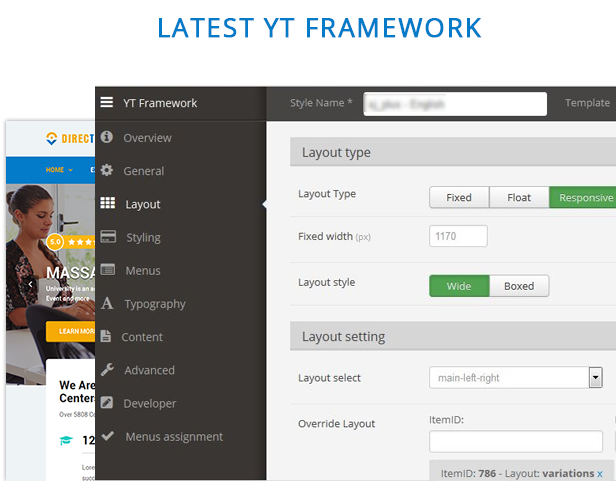 YT Framework makes it very simple for you to build, customize and handle your own website with a wide range of easy tasking feature. Powered by SJ K2 Filter, this school, university directory Joomla template provides a wonderful search function which helps filter anything easier based on extra fields. With powerful mega menu you can show categories and news with description, image, video, effects… or even add links to any page, static blocks with promotion banners and modules. 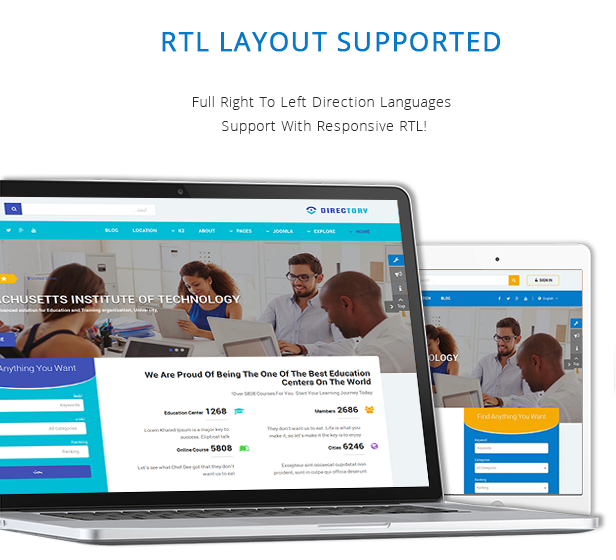 The responsive Joomla 3.7 theme supports all default Joomla pages with individually customized styles that fits the template design and let you easily build a fully functionality directory website. 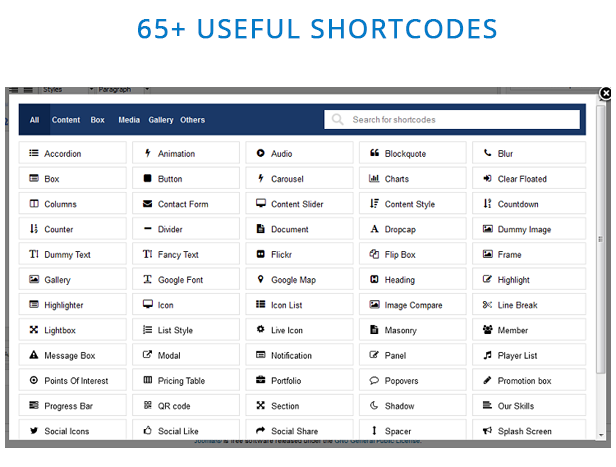 The Joomla template for school directory supports 65+ useful shortcodes that help you more powerful in building and customizing your site. 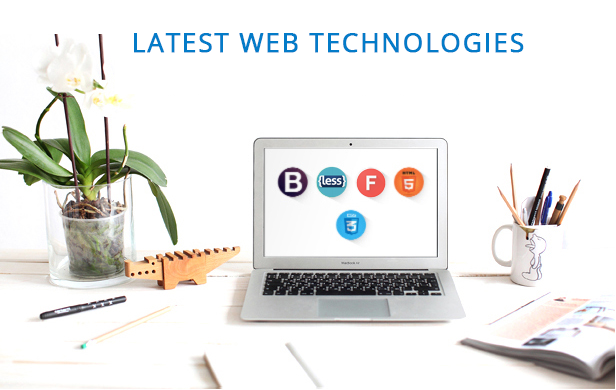 You can easily build a various website content without much coding knowledge required. 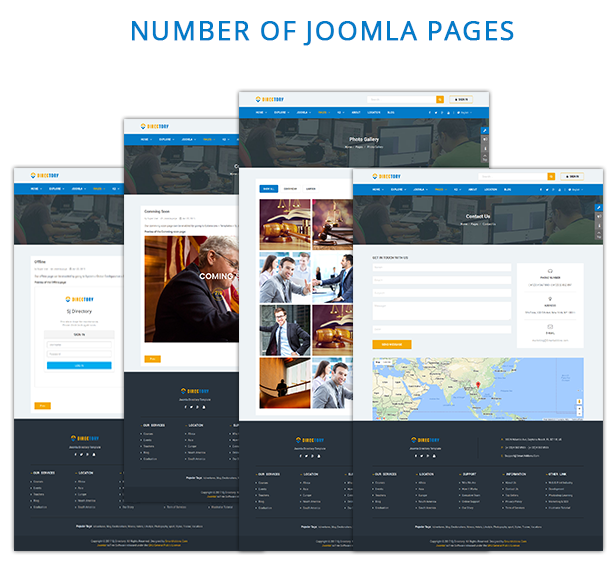 The Joomla 3.7 template is built with new web technologies: Bootstrap 3, Awesome Google Font, LESS, CSS3, HTML5 that make it more powerful and flexible. 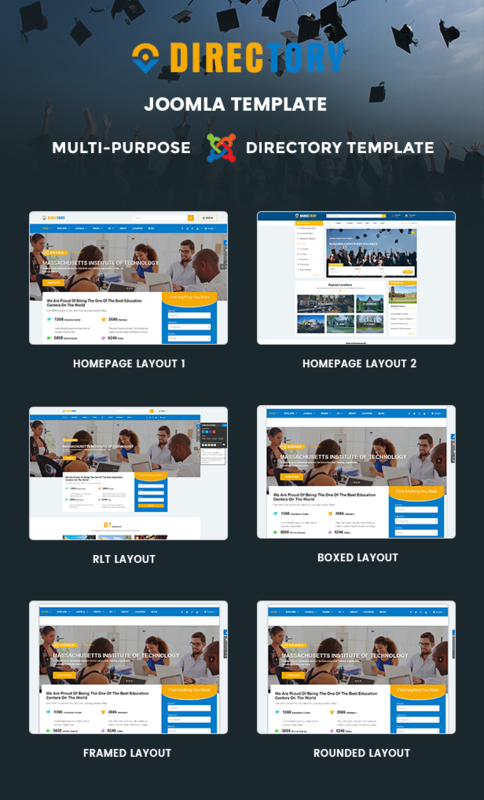 SJ Directory is a powerful directory Joomla 3.7 template, especially for school, university listing and directory websites with 2 distinguish homepage layouts available. 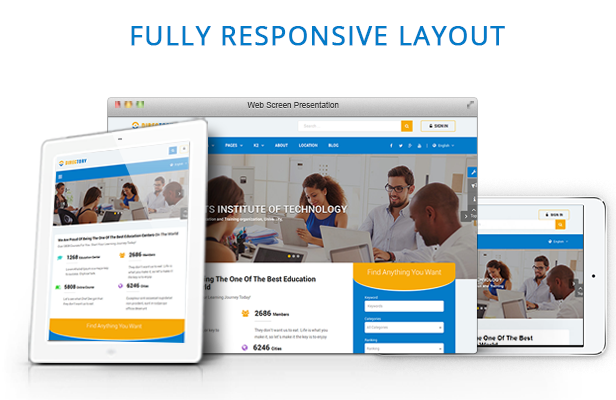 Based on latest YT Framework, the template comes with many flexible features and advanced web technologies: Bootstrap 3, HTML5, LESS, CSS3, etc. 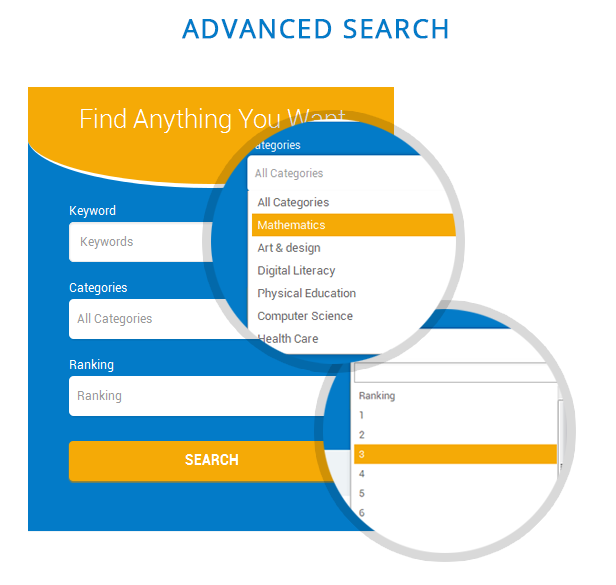 With SJ K2 Filter integrated, the template provides an impressive search function which helps filter anything easier based on extra fields. 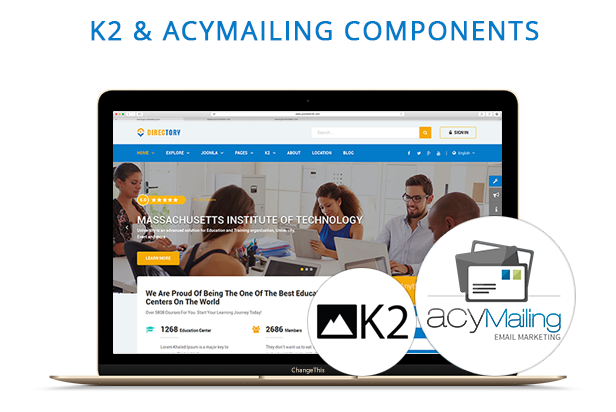 SJ Directory is integrated with the dynamic K2 component and supports RTL Language layout as well as all Joomla pages with nice customized styles to fit the template design and help to build a fully functionality school directory site. Let's have a deeper look at this Joomla directory template now!